This week on Design Santa Barbara we have special guest who is one of Santa Barbara’s foremost experts of African art. He is the owner of Atwood African Masterworks and great friend of the show. 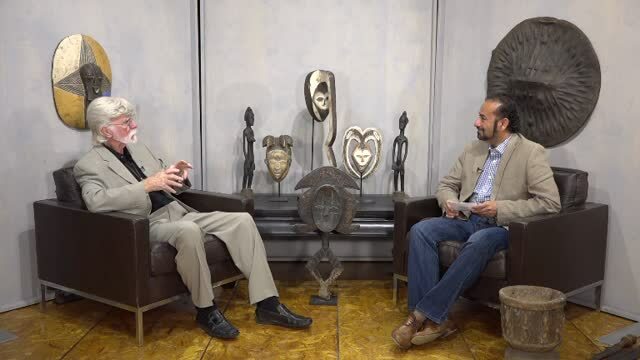 Learn about the history of African art and how it came about Ron Atwoods. Often, casual, amateur observers tend to generalize “traditional” African art, but the continent is full of people, societies and civilizations, each with a unique visual culture. The definition may also include the art of the African diasporas, such as the art of African Americans. Despite this diversity, there are some unifying artistic themes when considering the totality of the visual culture from the continent of Africa. The term “African art” does not usually include the art of the North African areas along the Mediterranean coast, as such areas had long been part of different traditions. For more than a millennium, the art of such areas had formed part of Islamic art, although with many particular characteristics. The art of Ethiopia, with a long Christian tradition, is also different from that of most of Africa, where traditional African religion (with Islam in the north) was dominant until relatively recently. Most African sculpture was historically in wood and other natural materials. That have not survived from earlier than, at most, a few centuries ago. Furthermore, Masks are important elements in the art of many peoples, along with human figures, often highly stylized. There is a vast variety of styles, often varying within the same context of origin. In conclusion, Depending on the use of the object, but wide regional trends are apparent. sculpture is most common among “groups of settled cultivators in the areas drained by the Niger and Congo rivers” in West Africa.